What do you do when you’re not working? If you are retired, what do you do that is not part of your regular daytime routine? Volunteer with elementary school students, snuggle up with the pups (okay, that might be routine), read novels, and take photographs. I’d pay off any outstanding loans, set up a local scholarship fund, and determine how best to donate to our K-12 schools. It’s usually something ridiculous, like a crazy joke one of us makes and then the giggles get contagious. Before I know it the four of us are holding our stomachs, laughing madly. Oh, and silly dog videos. Glitches with the kids’ technology. I’ve added two parental apps to their tech over the last six months – uKnowKids (for active monitoring) and Kidslox (for daily limits and lockdown hours). One keeps causing iCloud to identify us as a security risk, forcing me to change passwords repeatedly. The other keeps locking my kids out of wifi when they shouldn’t be. We’re all a bit frustrated about this, especially considering these were supposed to make parenting a little easier. Our weekend plans shifted at the last minute and we ended up taking the kids to Great Wolf Lodge. It turned out to be a lot of fun – good family time, and the kids have a lot more freedom now that they’re older so there was even some relaxing in there. We’re into our first official week of summer. I hope Bear enjoys her time at the basketball camp and that T-man kicks back. Considering how late he slept today I think he’ll benefit from the week of downtime. 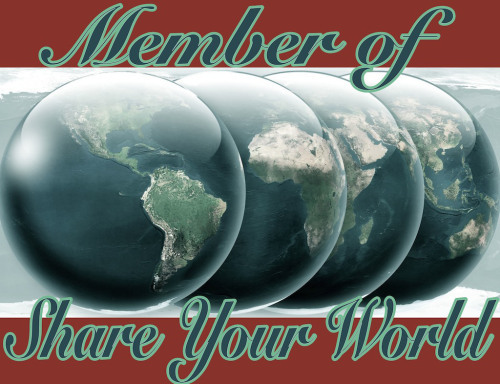 Cee’s weekly Share Your World is a Monday blog event. Oh, they did. It’s always wonderful to see them cutting loose and having fun, really being *kids*, you know? I’m glad I missed this wave of technology and children. We only had PC-based chat to deal with. I don’t want to whine but it is exhausting. Seriously.